The 85108A/L feature a complete configuration for high-volume, high-power, and pulsed-RF testing of components and devices at IF, RF, and microwave frequencies. The Agilent 85108A/L network analyzer systems have been designed to measure high-power devices under both constant-power and pulsedpower conditions. 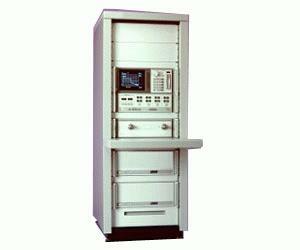 These systems are built around the Agilent 8510C with the pulsed-RF measurement option (Option 008). This option allows the 8510C to perform pulse profile network analysis of devices that require a pulsed-RF stimulus. Other measurement capabilities such as spectral analysis, noise figure, and load pull can be added easily without degradation of the raw system performance.